• Assemble at T2 terminal to meet your group and board your flight for Moscow. • Morning breakfast will be served at the airport – Compliments of TravelTies. • On arrival proceed to board your connecting flight to next destination. • Arrive at Moscow, clear your customs & immigration. Proceed to board your coach & head towards the Hotel. • Enjoy dinner in Indian Restaurant and spend overnight at the hotel. 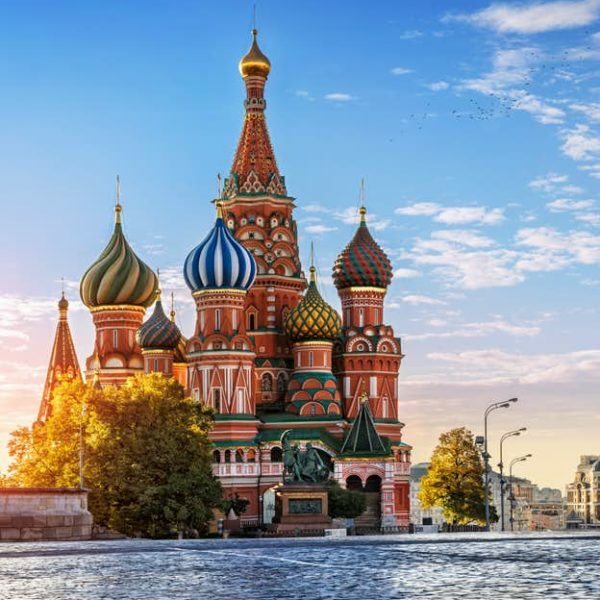 • Post Breakfast proceed for Moscow City Tour which includes View of St. Basil’s Cathedral, Lenin’s Tomb, Kremlin Walls and later visit the Armoury Museum where we see fabulous treasures of the Czar – collection of Jewels (Diamond Fund), Golden thrones, World famous Faberge eggs etc. • Later in the evening enjoy the famous Russian Circus. • Post Breakfast check-out of the hotel & proceed Moscow station to board Train to St. Petersburg. • Arrive Check-in to the hotel. 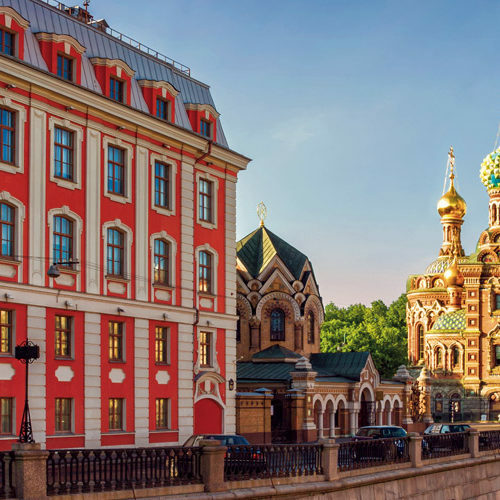 • Post Breakfast, we proceed for Orientation City Tour of St. Petersburg which includes Church of the Saviour on the Spilled Blood, St. Isaac’s Cathedral, Peter & Paul Fortress and Statue of Peter the Great & Summer garden. • Later in the evening enjoy the River Boat Cruise ride on the Neva River. • After breakfast, we head towards the world’s Famous Hermitage Museum. • It is the oldest museums in the world, it was founded in 1764 by Catherine the Great and has been open to the public since 1852. Its collections, of which only a small part is on permanent display, comprise over three million items (the numismatic collection accounts for about one third of them) including the largest collection of paintings in the world. The collections occupy a large complex of six historic buildings along Palace Embankment, including the Winter Palace, a former residence of Russian emperors. Apart from them, the Menshikov Palace, Museum of Porcelain, Storage Facility at Staraya Derevnya and the eastern wing of the General Staff Building are also part of the museum. • Evening shall be free at leisure. • After breakfast proceed to Helsinki. • Arrive Helsinki and proceed for a City Tour visiting popular sightseeing tour showing you the most important sights and giving you an excellent view of Helsinki’s past and present. The tour takes in the most interesting parts of Helsinki, such as the historical centre, City Hall, The Parliament buildings, Finlandia Hall and the Opera House. • After breakfast drive towards Cruise Terminal. • After breakfast at cruise. • Arrive & clear the immigration, board your coach to head towards the Hotel. • Check-in to the hotel. Enjoy dinner and spend overnight in hotel. • Post Breakfast at the Hotel, proceed to visit the Old Stockholm, Fjällgatan Viewpoint, Royal Palace Square, Kings Garden, City Hall and start a 45 Minutes’ walk through an old town. Pass through smart boutiques and galleries. • Later visit the famous Vasa Viking Ship Museum. • Enjoy dinner and spend overnight in hotel. • Post Breakfast check-out of the hotel & proceed Stockholm Airport to board your flight for Bergen. Arrive & clear the immigration, board your coach and we proceed for a City Tour which includes magnificent Floybanen Funicular train ride which takes you to the peak of Bergen where you can see the beautiful view of the city. • Later visit to Haakon’s Hall, which is built in the 13th century, View of Bergenhus Castle. • Later check in hotel. Enjoy Indian Dinner and spend overnight at the Hotel. • Post Breakfast check-out of the hotel & proceed to Geiranger. • This day we are passing through scenic beauty. Arrive & check-in to the hotel. Rest of the evening is at Leisure. • Post Breakfast we proceed to enjoy the Cruise on the Grande Fjord Overnight at Hotel. • Later we proceed to Dalsniba glacier. • Evening return to hotel and enjoy dinner and spend overnight in hotel. • Post Breakfast check-out of the hotel & proceed to Flam. It’s a Scenic & beautiful journey towards the flam. • Arrive in the evening. Check-in to the hotel. • Post Breakfast we proceed to board Flamsbana Train, which takes us to 4000 Feet Altitude, En route witnessing one of the largest water falls of Norway. • We alight at the station where 3 Girls would welcome us, dancing in the Traditional way. The train takes you to and fro Journey alongside the river taking us through 24 Tunnels. • Post Breakfast check-out of the hotel & proceed to Oslo. We drive through beautiful Fjords & Mountains. • Arrive at Oslo in the evening. Check-in to the hotel. • Later at around 2230 hrs drive up to the Extreme Edge of the Earth the North Cape, this is the place where you see the land of Mid night sun. Return to Honningsvag. • Enjoy Indian Dinner and spend overnight at the Hotel. • Post Breakfast check-out of the hotel & proceed to Alta Airport to board your flight for Oslo. • Arrive & proceed for sightseeing, which includes The Akershus Castle, The Frogner Park, The controversial Vigeland’s Sculpture Park, Skiing Point and more. • Post breakfast check out and proceed to Oslo airport to board flight for Copenhagen. • Later we proceed for sightseeing, which includes the Little Mermaid sitting on her rock, Royal Palace Square etc. • Check-in to the hotel in evening. • Post Breakfast at the Hotel, proceed for Malmo. This Bridge is under sea which connects Sweden and Denmark. On the way to Malmo we will stop at the view point where you can take spectacular Pictures of the bridge. • On arrival in Malmo we do the Guided City Tour of Copenhagen. Rosenberg castle, Oresund Bridge. Later in evening there is some free time for local shopping. • Evening return back to Copenhagen. • Today is the last day to say Good Bye to all the new friends that you have made throughout the tour. • We depart for Copenhagen Airport to board your flight to Mumbai. Return Home with Sweet Memories. Accommodation at quality 4 to 4½ Star hotels at all places. 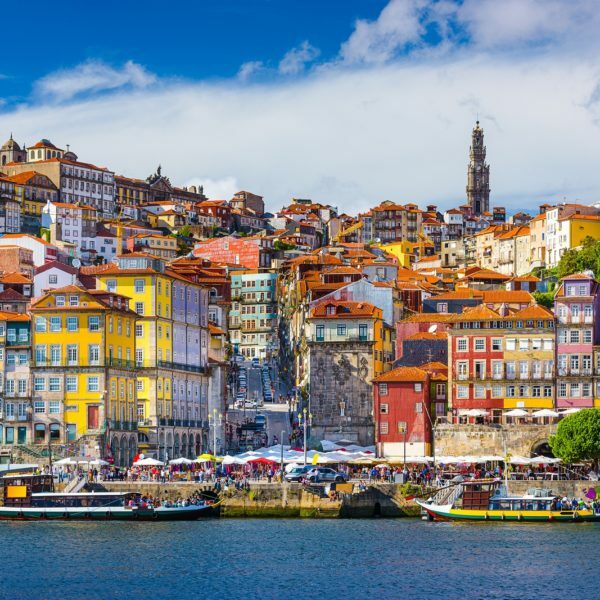 4 Internal Flights with baggage inclusive. Daily breakfast served by hotel along with hot Indian Meals prepared & served by our Rajasthani Maharaj from India preparing various cuisines in VEG / JAIN option. Experienced tour leaders to guide and manage your journey abroad and make you have fun along with a memorable trip with “Travelties”. Tips and Overseas Travel Insurance shall be included up to the age of 59years. Travel Hamper with Passport Cover, Passport Pouch, Luggage tags, Complimentary cabin baggage and Snacks packet along with tea and coffee throughout the tour.